Are you living in the Ottawa area? We are completing a horror study investigating female horror fans and examining the myth that women do not watch horror films. 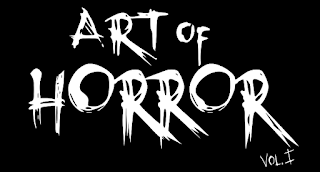 Whether you love spooky ghost stories or get a thrill out of slasher flicks, have your say in this study and tell us just what makes you love the horror genre. We are looking for females of ALL ages, so tell your mom, tell your best friend, tell your boss and tell your grandma! 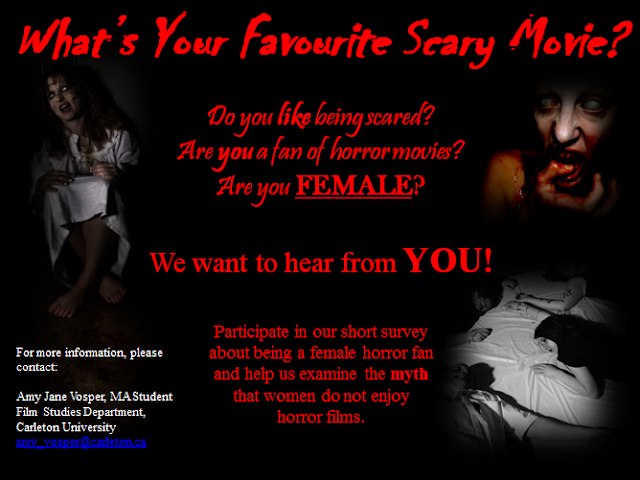 Just send me an e-Mail at amy_vosper@carleton.ca and I will send you a copy of the questionnaire. It will only take a few minutes of your time. Thanks and let me know if you have any questions or concerns!